The Friday morning grew up to its calm and tranquil spree. My watch had hit dot 6 am and I with my tracker turned on, was already on the streets wandering by the serene and hindered lanes of the city called 'Mumbai'. It was drizzling and I was partially drenched. I had decided to treat myself with the sunrise and then head start my wandering experience by foot in the city streets. This time it was close to 16 km and as the title suggests, it was a solo wandering experience. The Sunrise happened to take place around 6:30 am, in the meanwhile I enjoyed my morning chill by 'Girgaon Chowpatty' (a famous beach in South Mumbai).After having a sure glimpse of the Sunrise, I started to take the turns as per my intuitive feeling. My intuition led me towards wandering in the 'Walkeshwar' area. This is one of the most expensive residential areas you can find in Mumbai, with elite houses to old mansions and pensive penthouses you've got them all. In my experience, the best skyline view that Mumbai offers can be super finely glued from the Walkeshwar area. From the high skyscrapers to the seashores, you get to see it all. After covering the Walkeshwar area, I headed to the Churchgate station by foot and then kept walking till Murzban Road. 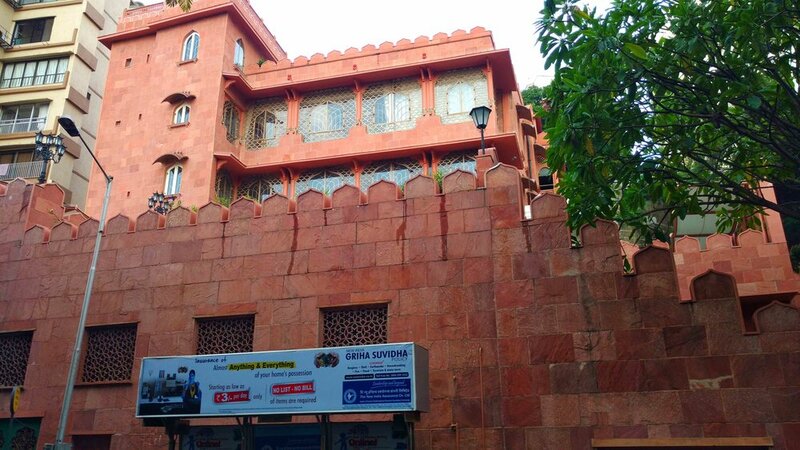 After stepping out from the Churchgate station subway, walk straight towards the small Parsi Prayer Centre (Well) and turn left, then continue walking straight, on reaching the signal, take the road that goes straight towards the slight right. And, there, you reach Murzban Road. Murzban Road - A treasure in its own. If you have this secretive fantasy for old mansions and heritage buildings (just like me), then you are exactly at the right location. Murzban Road on its own has a treasure dating back to the Imperial Bombay which once served as the British Administrative headquarters. Since then it continues to hold its primitive infrastructural admiration. Trespassing (yes, I did trespass few mansions :P) by the streets of Murzban road, I came across - The Bombay Gymkhana - which is a 140-year-old clubhouse, The Esplanade House,The Tata Palace and The Indo-American Society building. Holding the tag of one of the most elite mansions of Bombay, "Esplanade House" is one of those authentically heritage based buildings which you wouldn't like to miss out on. Another signature buildings of Bombay comes into picture when we can enjoy having a glimpse of the Tata Palace, which stands tall in white and adorns a look of colonial houses of London (influence of British Imperialism, you see!). It's majestic to have a look at the building. Glued with Blue colonial influence, comes another heritage building of the Indo-American Society which, all the lovers of coloured heritage buildings would definitely admire. Also, Read - Impressions of my first real Street Wandering Experience. With a rush in my spine, I somehow escorted myself only to be welcomed to another heritage-rich area with stark colonial buildings. 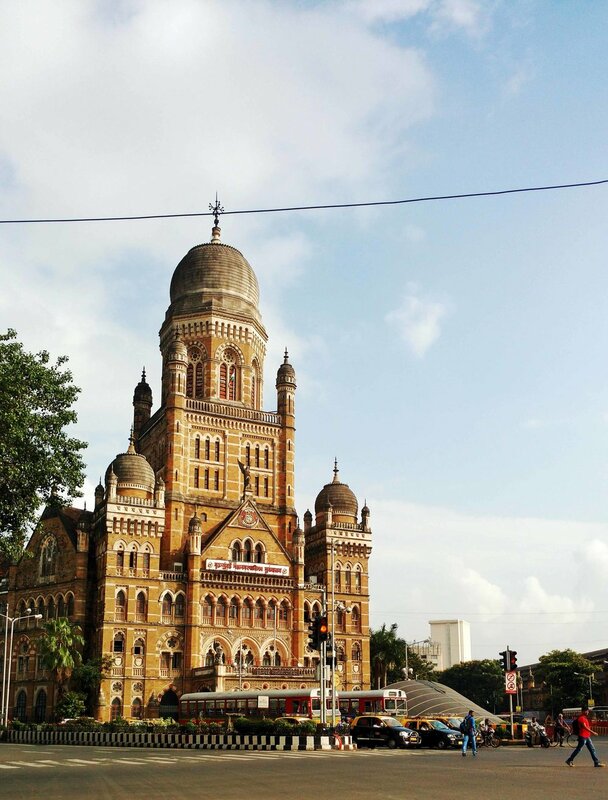 In the CST area along with CST being 'The World Heritage Site,' you can also spot other amazingly beautiful heritage buildings too. CST being the last imperial city sidewalk, I happened to get back towards Churchgate station and head back home. Though I had bristles all over my foot and a body almost degenerated, yet I had a relaxed and a highly satisfied mind and soul of being a city nomad. Over to you now, Where and How would you choose to go for a Solo Street Walk Indulgence in Mumbai?